Willow's adventure begins in Gambit, where she lives and works in The Fair Maiden, a village tavern owned by her parents. Surrounded by family, friends, and roughneck miners, she's grown up proud and strong—and more than a little spoiled. The normals in McKaireth treat her as one of their own, pampering her because of her uncommon beauty and reputation as a lucky charm. She knows she's not a Kent by blood and, while fiercely devoted to her family, longs to learn the truth about her identity. That truth comes to light when Commander Reece, an arrogant officer from the Core, arrives in her village searching for the traitor who helped switch out the Roanoke heiress. Willow finds his manner insulting and does her best to stay out of his way. Betrayed by her educator, however, she fails to stop Reece from discovering that she's actually a prodigy—a mutated human with evolved DNA. Further events reveal that she's a second-phaser, with dual skills and an identity beyond anything she had ever imagined. Her mysterious new guardian, Joshua, promises to keep her safe. But her very existence is key to the Core's survival, and Reece is ruthlessly determined to return her there, before war erupts between the elite Houses and spills into the Outlying Lands. No amount of pleading, pouting, or stamping her feet will change his mind. In the end, to save McKaireth, Willow sacrifices her freedom by agreeing to travel with him and two escorts to her rightful home in the city. For all her cleverness, Willow starts out fairly naive. She's new to technology and the ways of Core culture, and her skillset has a tendency to overwhelm her. Tied to her emotions, it rises up to fuel her passionate nature, leading Reece to call it her "tiger". Unfortunately, he's the only one equipped to tame it, and as they spend time together, she's surprised to find their stormy relationship evolving into something more. Willow's a fighter. Despite being protected by the village normals, she's had to learn to defend herself, which she often does with spirit and recklessness—using the jeweled dagger given to her as an infant. She takes that fighting spirit into the Core, threatening her relationships with her birth parents and Reece, and causing chaos in nearly every situation. As Gambit closes, Willow has finally decided that Reece is her best (if not most trusted) ally. The Core wants her DNA, but she wants her freedom. The city is one big chessboard. With Reece by her side, she is determined to play—and win. 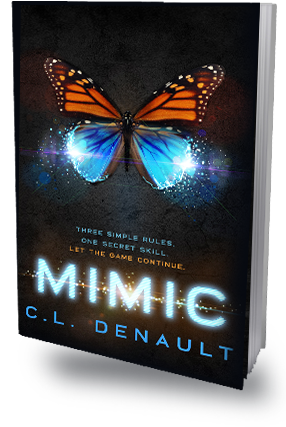 The adventure continues in Mimic, where Willow's sacrifice is turning out to be greater than she anticipated. Her deal with Morry not only brings about tighter security—in the form of a strict new commanding officer—it also puts Kane's destiny in peril. Wracked with guilt over her decision, she channels all her fighting spirit into rising above her circumstances. It doesn't exactly work out the way she plans. For starters, Commander Kristoffe isn't easy to manipulate. Unmoved by her bewitching qualities, he runs the House of Roanoke like a prison, and breaking his rules brings serious consequences. Joshua is there to help, but ends up making an unexpected move that impacts her skillset. Her already tenuous relationship with Morry works against her as well, and because she knows little about Core prodigies and their skills, her run-in with a mimic has unforeseen results that she works furiously to keep secret. Becoming a lady seems to be her only option. Fighting is getting her nowhere, and the strange evolution of her skillset has her wondering just what nature intended her to become. 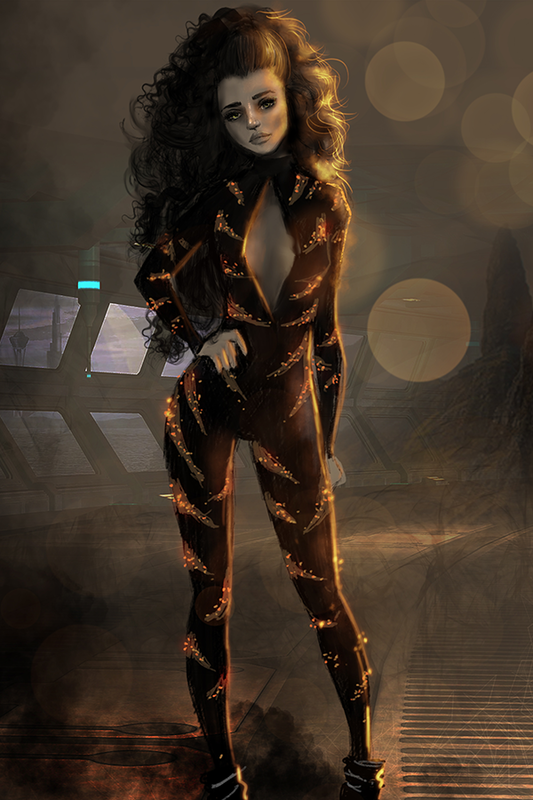 With her introduction to Thess looming and a Council meeting scheduled to determine Kane's fate, she begins to transform. So does her relationship with Reece. As things heat up between them, more secrets come her way, and she realizes that knowledge—about the rebels, the mimic who can't be trusted, and the Core officers hired to protect her—might be her best strategy. But she'll have to be careful. To navigate the Core, she must conform. To control her skills, she must train. She must become who she needs to be to survive, until she's strong enough to reveal her true self. The Core wants an heiress, not a savage. And they'll get one.